On 11 September the RVI Nairobi Forum hosted a discussion about UK and US banks' discontinuation of their services to Somali remittance companies. 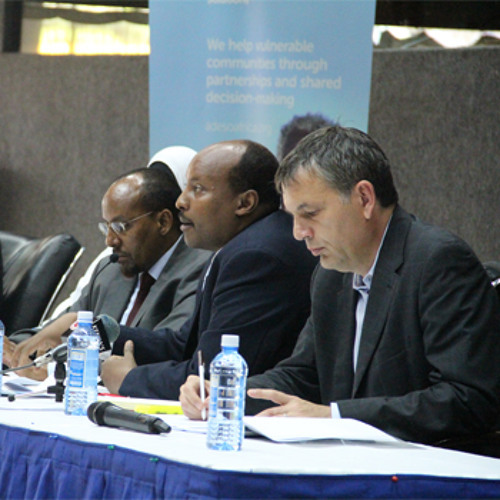 The occasion was the launch of a report by Oxfam and Adeso Keeping the Lifeline Open: Remittances and Markets in Somalia. The report highlights the positive impact of remittances on Somali livelihoods and assesses the compliance of money transfer operators, and their due-diligence procedures. Speakers at the meeting appealed to Barclays—the last bank to offer such services—to postpone their 30 September deadline for another year. On 30 September, a fortnight later, Barclays postponed the deadline for two weeks.